Events and diary dates | When the pen takes control. The festival features presentations by four leading writers with ties to the area who will explore the importance of place in their writing. To celebrate the Minehead Literary Festival a short story competition, with classes for adults and children, is being organised in the run-up to the festival. And an art exhibition will run from April 2 to May 6 at the Regal Theatre and Toucan Wholefoods with work by established local artists which will also focus on the theme of the importance of place. Who? Tessa Hadley, who heads the line-up of speakers at the festival, has just published her seventh novel Late in the Day to rave reviews, hailing her as ‘one of Britain’s finest writers of contemporary fiction’ (Thea Lenarduzzi, Vogue) and ‘one of the greatest stylists alive’ (Ron Charles, Washington Post). BBC radio producer, writer and bird watcher Tim Dee will share his knowledge of the area and particularly his insights into the natural world. Tim is an exceptionally original storyteller, mixing autobiography with nature writing to captivating effect. Best-selling author Pamela Holmes has been fascinated by the area since she lived and worked on a farm on Exmoor in the 1970s. Her warm and heartfelt novel Wyld Dreamers was published last Autumn and is loosely based on those experiences. For the younger audience popular local writer Victoria Eveleigh will be giving an illustrated presentation about her much-loved series of books Katy’s Exmoor Ponies and The Horseshoe Trilogy. Tea Time with Tortie offers a chance to meet the best contemporary writer of pony stories around. From Saturday the 12th of October and culminating in a market and author event on Saturday the 19th of October 2019. This new celebration aims to encompass writing, film, drama and art activities. There will be a Gothic market for writers and traders to showcase their work, and a range of related events. Theme: A short story in the Gothic tradition incorporating folklore and myth. Prizes: A cash prize will be offered to the overall winner 30% of all entry receipts will form the prize fund. 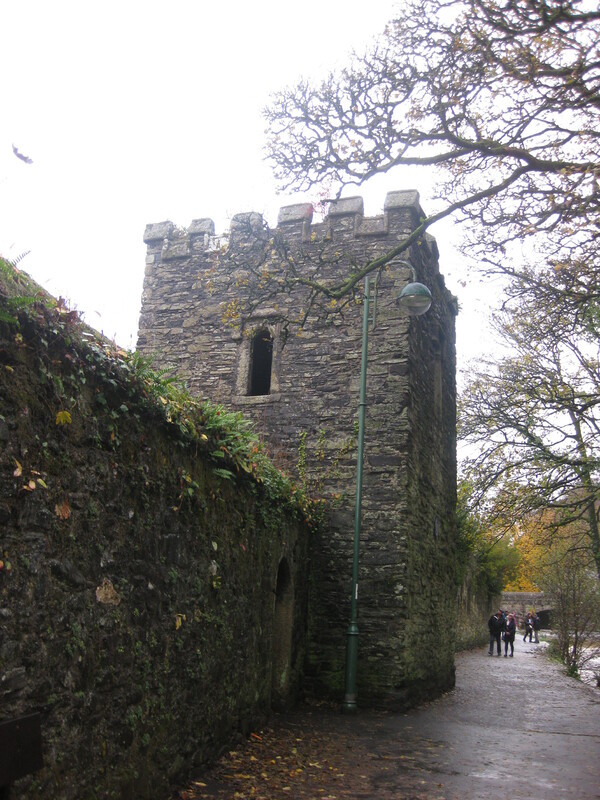 There will also be a second prize of 30% of all the entry fees awarded to a ‘Gothic’ story based in Tavistock and incorporating its Gothic and Neo-Gothic Heritage. Additional runners-up prizes of books will also be awarded. The prize winners will be notified approximately two weeks prior to the prize giving. The remaining 40% of the entry fees will be used for administration costs and for festival and library events. Presentation of the Prizes: The results will be announced, and the prizes presented at an event to be during the celebration. Judging: The judging will be in two stages. The final short list of stories will be judged by a panel of librarians, authors and publishers. Shortlisted entries will be ranked by a final judging panel. Tips: The judges will be looking for interesting and original stories that are factually correct where appropriate. Publication: Depending on the number and quality of the entries received an e-anthology may be published. Entries must be in English, original and not previously published in any form or broadcast, and no longer than 1500 words (adult). Results: Available to the public from the 12th of October 2019. Entries may be delivered by hand or by post to Go Gothic – Flash Fiction Competition to Tavistock Library, The Quay, Plymouth Road, Tavistock, Devon, PL19 8HF, England. Please include your payment by cheque (in sterling) made payable to The Friends of Tavistock Library or BACS Transfer: Account name: Friends of Tavistock Library, Account number: 32152922, Sort code: 602149. Payment may also be made in cash at Tavistock Library. Entry fees: Adults – £3 for first entry, £2 for second or subsequent entry. If you intend to submit multiple entries, please submit all entries together. No manuscripts will be retained so contestants must keep a copy of their work. If acknowledgement of receipt is required, please include a stamped and addressed postcard. In accordance with the 2018 European Union General Data Protection Regulation Act (EU GDPR) your information will not be kept on a data base or used for marketing purposes and we will only contact you to tell you if you have won the competition and when all the logos will be on display. Entry to the competition implies acceptance of the rules. WRITERS! WANT TO INSPIRE WITH YOUR CREATIVITY? If you’re aged 18 or older and have a passion for writing, we are now accepting submissions for our 2018 writing competition. READ Foundation has teamed up with prize-winning novelist and fellow of the Royal Society of Arts Qaisra Shahraz to launch this year’s contest. The entry guidelines are simple: a poem, short story or first person essay on the theme of “My education helped me….”. This does not mean the writing has to start with this phrase, but this theme must be felt throughout the work. Submissions must be a maximum of 500 words and should be received before midnight on 10th October 2018. We know how important education is in a young person’s life. Which is why we want entrants to help inspire the next generation of creatives by telling them all about the role education played in their own lives. We’re open to entries from all walks of life and abilities, so you don’t need to be a professional to enter: simply write from the heart. The winning entry will be displayed in hundreds of READ Foundation schools to inspire today’s students. It will also be published on READ Foundation’s website. The winner and two runners up will also receive feedback on their work from Ms Shahraz. I love reading and writing – writing can be an incredibly inspiring tool, taking the imagination to amazing places and experiences. As an educationist and lover of learning, I really value READ Foundation’s incredible work in promoting and offering education to those who need it – such amazing work and achievement, led by an amazing team. I am really glad this competition will encourage writers to inspire young minds with their words. Above all else, it is about the importance of education: how it literally transforms lives and gives children a passport to a better world. I’m really looking forward to reading the entries and seeing how different entrants have approached the topic of education. The tone must be inspiring. The children who will see the winning entry have fought very hard to get to school – some walking hours a day. Reading an inspiring story or poem will, I’m sure, offer them a lot of encouragement and a goal to achieve and do well in education themselves. 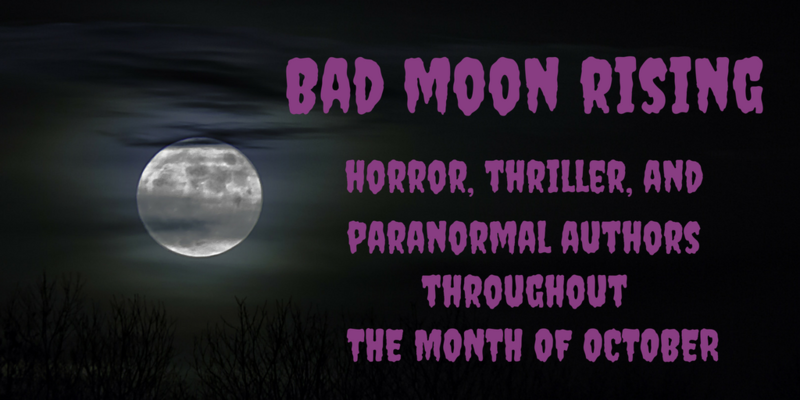 For the month of October, Books & Such will again be featuring Bad Moon Rising! If you’re an indie author of horror, thriller, or paranormal books and would like to be featured, send me your info. Free publicity, book sales (hopefully! ), new authors to follow, and more books to buy – what’s not to like? Each post will feature one of your releases, a blurb, author bio, social media links, buy links, and a short interview. If you’d like to include a giveaway or have alternative ideas for your post, I’m open to suggestions. This is the fourth year of Bad Moon Rising and spots tend to fill up fast, so if you’d like to be included, email me at tpolen6@gmail.com.